Dragon Ball fans across North America can now breathe a collective sigh of relief. One of the most requested characters of the Dragon Ball franchise will finally be immortalized as an official Funko Pop! vinyl figure. 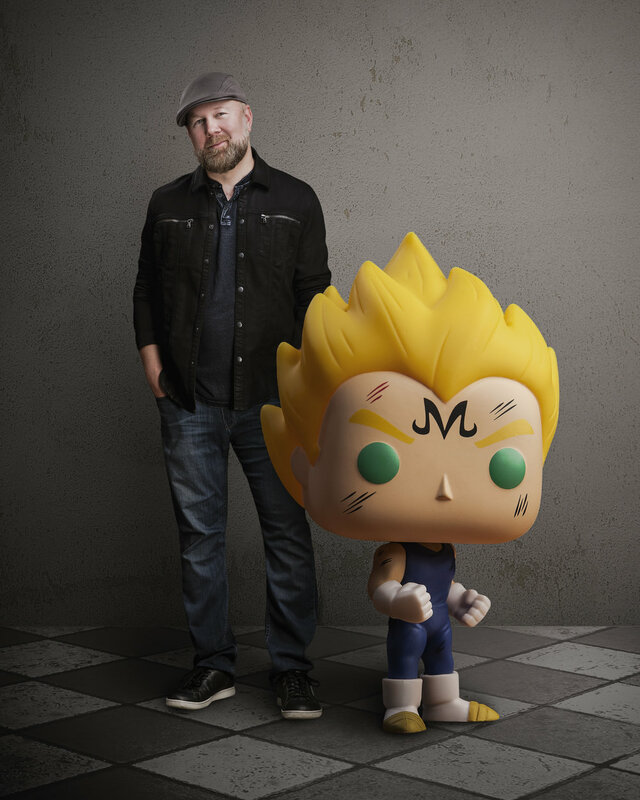 To celebrate the launch of his website Over9000.com, Dragon Ball veteran and “Voice of Vegeta” Christopher Sabat announced the release of his exclusive Majin Vegeta Funko Pop! which will premiere at this year’s New York Comic Con fromOctober 4 – 7, 2018 and will be made available to all verified badge holders through the ReedPop official lottery system. Details to be available to NYCC attendees. This soon-to-be-released figure is the first and only licensed Pop! vinyl of Majin Vegeta, a perennial fan favorite from the Dragon Ball franchise. The base figure will retail for $20. Special bundles, including a NYCC exclusive bundle, will be also offered that feature t-shirts, jerseys, original artwork and other exciting items only available from Over9000.com. Over9000.com is Christopher Sabat’s new website offering autographed merchandise and memorabilia from his collection. The website goes live on Wednesday, October 3, 2018. A big fan and collector of Funko Pop! himself, Sabat had always hoped that Majin Vegeta would join the lineup of popular Dragon Ball Z vinyl figures so in November of last year, he approached license holders Funimation and Funko with a proposal to manufacture his favorite character as an exclusive Pop! Following New York Comic Con, the Majin Vegeta Funko Pop! will be available for purchase on Over9000.com. Date to be announced. A portion of the proceeds from each Pop! sold will benefit Project 9000, a charitable organization established to fight poverty in the Philippines and all over the world. Follow Christopher Sabat on social media at facebook.com/bestvoiceever, twitter.com/voiceofvegeta and at Instagram.com/ christophersabat.